A master-planned estate of 356 hectares, Watagan Park is Nature’s Playground. Nestled at the foot of the scenic Watagan Mountains, Watagan Park is Keith Johnson’s dream come true. After nearly a decade of negotiations and planning, the estate is coming to fruition and providing a convenient natural setting at North Cooranbong. Watagan park is classified as a major urban release area by the New South Wales Government considering it’s locality and it’s reference to population growth. A fantastic lifestyle opportunity, Watagan Park is a tranquil and unique natural sanctuary. 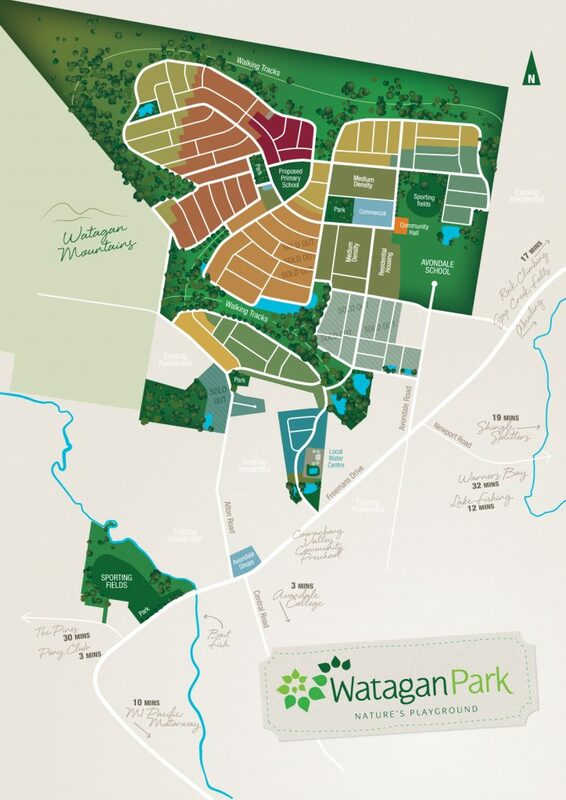 With a third of the development remaining natural bushland for the enjoyment of residents, Watagan Park provides a peaceful retreat in the heart of Nature’s Playground. Encompassing 2,500 lots spread over 356 hectares on the border of Watagan National Park, the development complements its natural surroundings perfectly. Located minutes from Avondale College and School, other planned community facilities include playing fields, a cricket pitch, a skate park and a community centre. With the nearby amenities of Lake Macquarie and easy access to the F3 and the railway, Watagan Park is as close to paradise as you can get. A tremendous benefit of the estate are immediately available to you at an extremely affordable price. A plethora of lifestyle activities available for the entire family, including bushwalks and bike trails, Watagan Park is perfectly situated to give every family the lifestyle of their dreams.